A question we hear often is, “Does Portland Bolt ship to Canada?” The answer is a resounding yes! In 2010, Portland Bolt shipped to 8 of the 10 Canadian Provinces, and we sent an average of about 4 orders per week to Canada*. We are on a similar pace this year. 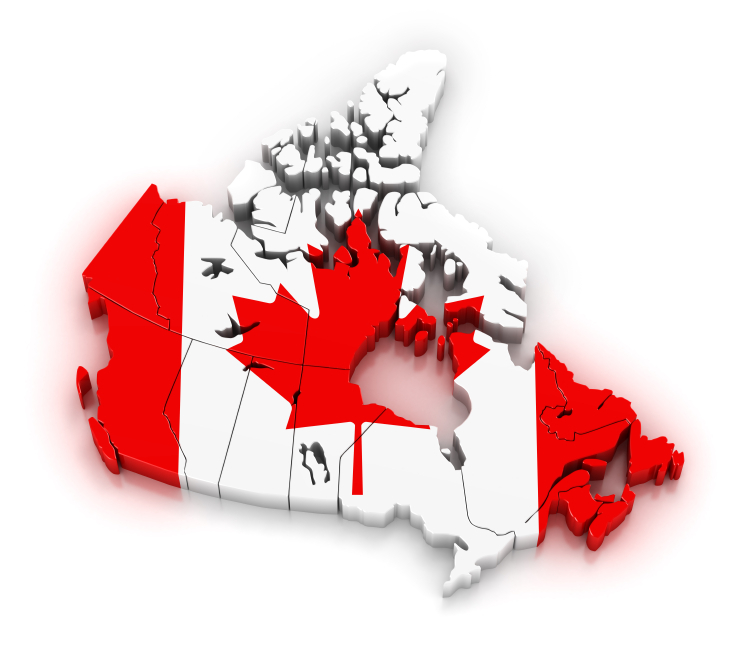 * Update: See our FAQ for the latest Canadian shipment statistics! The recent recession decreased manufacturing in Canada even further and has created a need to import more manufactured product from the U.S. Although there are several good Canadian fastener companies, Portland Bolt has demonstrated that we are an excellent option for large industrial projects in industries such as mining, oil and gas, and forestry, all of which often require large nonstandard anchor bolts and construction fasteners. Our manufacturing facility is designed for short lead times, and our understanding of customs documentation result in our ability to seamlessly get our product up to Canada. Our Interactive Shipment Destination Map shows the various shipments sent to Canada over the past week, month, and year. In addition to numerous locations in Canada, in 2010 Portland Bolt shipped to all 50 U.S. states and 19 countries. In this day and age of a truly global economy, there is no project too far away. Let us show you why so many companies near and far choose Portland Bolt. Proper Thread Engagement Question: How much thread engagement is recommended, i.e. how many threads should extend beyond the nut? Answer: The answer is…..it depends. There is not a lot of information that can be found in fastener-related publications that addresses the issue of nut and thread engagement. The handful of references we have found vary depending upon application. Thread engagement can range anywhere from three quarters of the nut engaged to two threads extending beyond the face of the nut. Our Thread Engagement FAQ provides references for three different applications. The Crystal Bridges Museum of Art is a 15 minute walk from downtown Bentonville, Arkansas and once finished, will be one of the premiere art museums in America. The buildings, which also function as a dam and a bridge showcasing the water scene at the center of the structure, will house an expansive collection of American art ranging from colonial to contemporary art. A key component in the design and construction of the buildings is the large laminated wood beams that form the roofs of the structures. A previous supplier had supplied lag screws which were out of tolerance due to excessive swelling and die seams underneath the head of the bolt and could not be fit through the holes in the steel plates. Between August and November of 2010, Portland Bolt manufactured and supplied almost four thousand 1″ and 7/8″ diameter hex lag screws for installation into the laminated wood beams through steel plates. Read more.